In a room filled with community members, students and legislators, Thornton Township was the site of two acclimated speakers who talked to the crowd about unconscious and conscious bias. 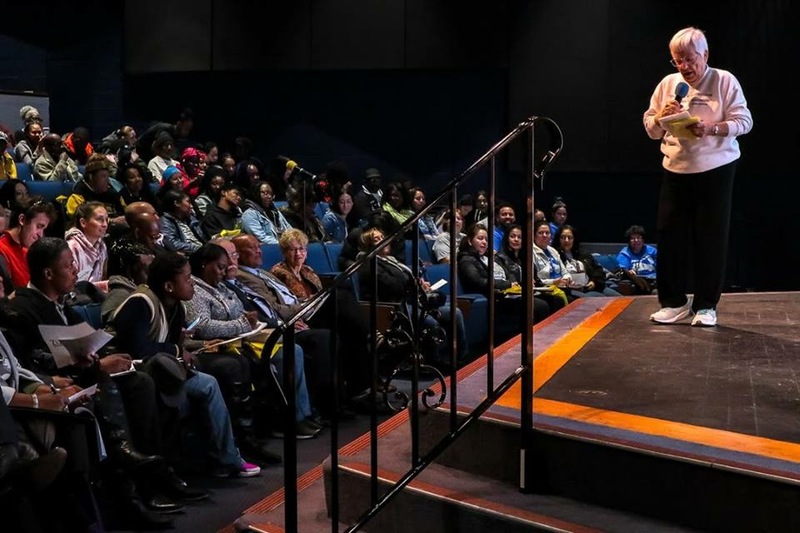 Presented by the township Human Relations Commission, the event held at South Suburban College featured Dr. James Lawrence and Jane Elliot, who is most known for her groundbreaking “Blue eyes-Brown eyes” experiment. More than 320 people came to the event. A former third grade teacher, Elliot has spent most of her life as an anti-racism activist and educator. She is known for her “Blue eyes–Brown eyes” exercise she conducted with her class the day after Martin Luther King Jr. was assassinated. She divided the class based on eye color and had the blue-eyed children as the superior group. Elliott provided brown fabric collars and asked the blue-eyed students to wrap them around the necks of their brown-eyed peers as a method to easily identify the minority group. She gave the blue-eyed children extra privileges, such as second helpings at lunch, access to the new jungle gym, and five extra minutes at recess. The blue-eyed children sat in the front of the classroom, and the brown-eyed children were sent to sit in the back rows. The blue-eyed children were encouraged to play only with other blue-eyed children and to ignore those with brown eyes. Elliott would not allow brown-eyed and blue-eyed children to drink from the same water fountain and often chastised the brown-eyed students when they did not follow the exercise’s rules or made mistakes. The following week, she reversed the exercise, making the brown-eyed children superior. Before Elliot spoke, Dr. James, a Chicago-based clinical psychologist, also talked about conscious and unconscious bias.